Are you looking for a change of pace from city life noise & traffic? Where you can retire, golf, fish, enjoy the out doors or study at home? We overlook the pristine Holberg Inlet in Coal Harbour on Northern Vancouver Island. The harbour is a 5 minute walk. We have renovated , updated & recently painted our large 2 bedroom apartments & townhouses and they offer a quiet retreat setting with a forest as our backdrop. Sleep with the windows open, see the stars at night, and awake to the sound of eagles in the morning. 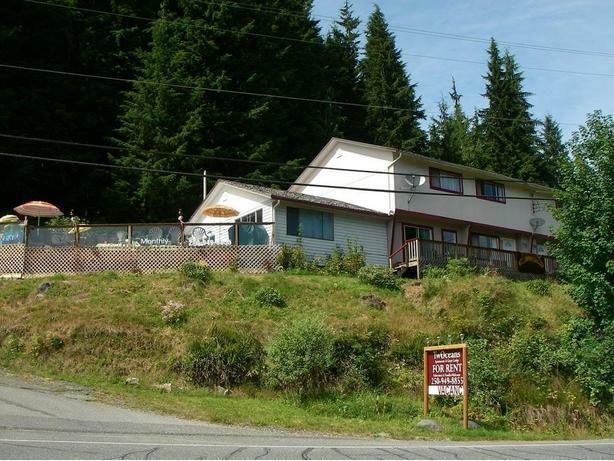 15 minutes by car on a paved road from Port Hardy, Fully furnished with stove, fridge, microwave, washer and dryers, pots & pans, towels , sheets and beds in each apartment. $900.00 / month plus hydro with a 1 year lease with a personal guarantee . Or month to month @ 1500 , hydro & Satellite TV is included in month to month rentals. References required. Small pets considered. pet deposit required for each pet. WORKING SINGLES & RETIRED SINGLES live here because it is quiet. On site owner manager in a small community of 10 apartments. There is absolutely no smoking inside all apartments. However smoking is permitted on the separate deck entrances to each apartment or off property . Available apartment is on second floor & has a great view of harbour. Out of respect to tenants below, we choose ro tent to only 1 person on second floor apartments.